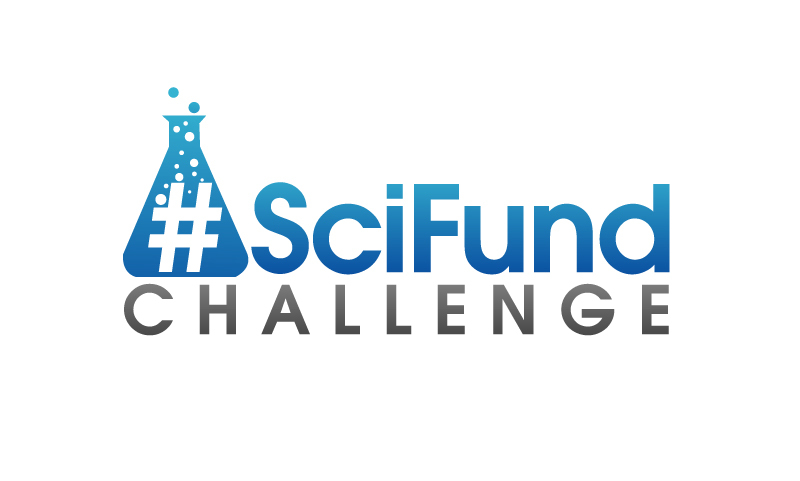 The current round of #SciFund ends today. 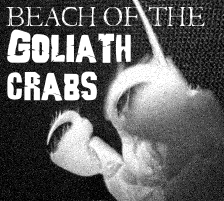 My own project, Beach of the Goliath Crabs, made its total a while ago. I want to talk about the overall amount we’ve raised at #SciFund. We cracked the $90,000 mark yesterday. I cannot tell you how fantastic it would be to hit the $100,000 mark. You should check out the projects to see if there are any that would like to support, even with a dollar or two. There is nothing preventing you from giving a little extra to a project that has hit 100%. If you cannot donate, please spread the word! Time is running out to make a great achievement. I neglected to mention here that back at the start of the month (which seems so long ago now), I did a stint on the Scientopia Guest Blog. The theme was the Moscow Rules: they were rules for spies, and I turned them into rules for scientists. Photo by i k o on Flickr; used under a Creative Commons license. 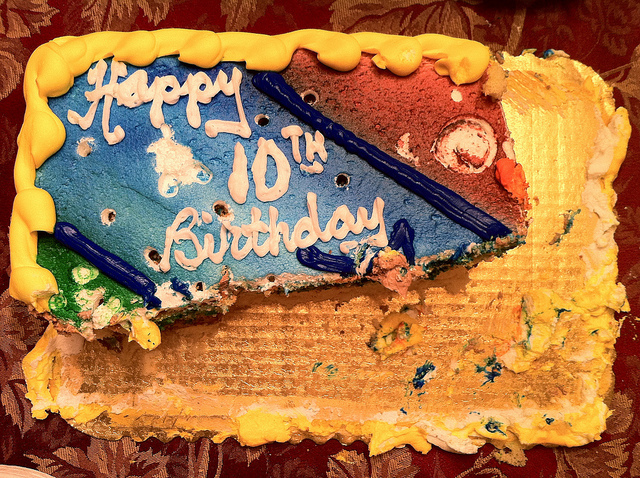 Yes, this is the tenth anniversary of this blog – or blogiversary, if you prefer. The question “What is the oldest science blog?” comes up occasionally in the science online community. It’s hard to pinpoint which it might be. There are people who started doing similar things on their own webpages with regular updates (Daniel Fischer started in 1996). But no matter how you slice it, this is one of the oldest science blogs, in continuous operation throughout. As far as I’ve been able to find, Derek Lowe started in February 2002; Razib Khan started in April 2002, and I started in May 2002. This predates the entry of a few other well-known bloggers, like Bora Zivcovic in 2004, and I think PZ Myers. First, this blog is all Neil Gaiman’s fault. In late 2001, he was blogging about writing and promoting American Gods, and that introduced me to the idea that blogging was its own thing. And because of him, I ferreted out Blogger and started to learn how it worked. I was in the midst of my first year in this job, and this seemed to me to be a good way to document and explain what I do as a researcher. A few people read it here and there, particularly some of my colleagues, who would check out my bitching about our eternally broken ice machine. Conveniently, the story of this blog divides neatly into two 5 year periods. Late in 2007, I started to get “born again hard” about blogging. There were a few things that did this. 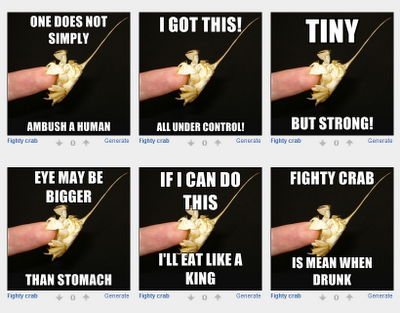 I not only started the Marmorkrebs blog, but I started to push myself much harder. I wanted to see how far I could take blogging. More science, more often, more effort, better writing (I hoped! ), and less whinging. Things I’m proud of so far? There’s some obvious things, like having a piece make it into Open Lab 2009. But there are some you might not expect. I’m proud that this blog hasn’t moved around much. There were a couple of URL changes in the early days, but that’s been about it. A lot of other science blogs have gone through two or three major regenerations at different hosts, different networks, and the like. 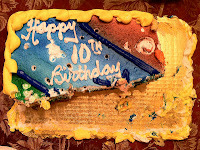 It’s been faithfully powered by Blogger for all ten years. I’m proud that this blog is independent. I’ve never been part of any blogging network. Even more importantly to me, I’ve never had ads on this blog. Now, onward to decade number two! P.S.—If you have found this blog useful, or want to give a blogiversary present, a buck towards my #SciFund project would be greatly appreciated. Thank you. Photo by mmatins on Flickr; used under a Creative Commons license. 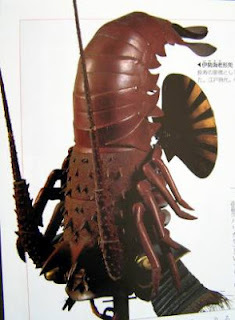 Following last week’s entry, we have another crustacean inspired helm from Japan. 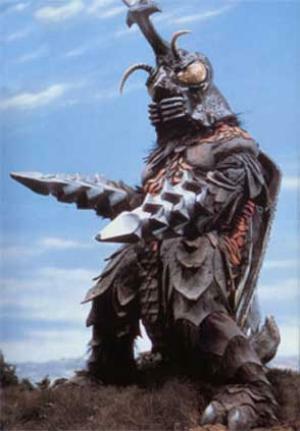 This might be the original Fighty Crab! 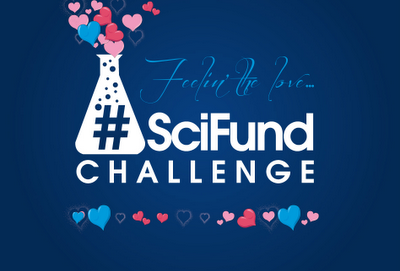 Late Friday, we passed the total amount raised in #SciFund round 1. On Sunday, we passed the percent of projects funded in #SciFund round 1, with two projects meeting their targets. On Monday, we the $80,000 mark and three more projects met their targets. Combined, the two rounds of #SciFund have funded 30 projects and raised over $150,000 for science. But I have more to say about my own project! This is probably my last video for this round of #SciFund. It’s dedicated to everyone who, like me, is in the lab or office today, particularly those in the United States, for whom this is (allegedly) a long weekend. Thanks to Maritza for taking some of the footage! Do I read the journal regularly myself? Have I submitted there before? Did I have a good editorial experience or a bad one? Have I published in that journal before? I like to spread my contributions around, and not go back to the same places over and over. Is it a journal with a mission I support? Is it a journal published by a scientific society I'm a member of? What questions do you ask yourself when you submit? I’m curious, in part because of issues raised by Drugmonkey. In short, PLoS ONE has a higher Impact Factor than a lot of other established journals in neuroscience, so why are those other journals still getting contributions? As an open access supporter, why don’t I send them everything? PLoS doesn’t hold conferences in my field, but a scientific society I belong to does. And submitting papers to those society journals is a vote of confidence and way to keep the society going. Different journals have different readerships. I know some people say, “Ah, I don’t look at journals now, I just use PubMed.” Great for medicine, but not all basic biology goes there. Submitted manuscript. 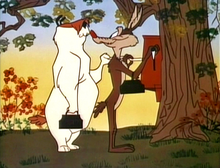 Boss was going to submit to an #OA journal, but saw it cost $$ upfront. Le sigh. 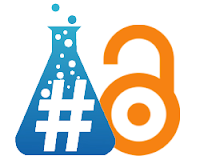 And, yes, there are open access journals (e.g., PLoS), though generally at high cost. That many open access journals (including PLoS ONE) will waive publication fees has not penetrated consciousness of potential authors. Backyard Brains went to Kickstarter to pay PLoS ONE fees because they didn’t know about the waiver. Happy ending: they got the money, and their paper was published. But the cost issue is something that open access advocates need to address much more forcefully and clearly. I think that there is room for open access journals supported by publication fees, and room for society journals and the like that are supported by subscription (not necessarily in the typical form they have now, though). I still think there’s room for glamour mags, and for small regional journals. In ecology, people talk a lot about ecosystem diversity. Diverse ecosystems are often more resilient and “healthy.” Monocultures are prone to catastrophic failures. I want there to be a healthy ecosystem of journals. 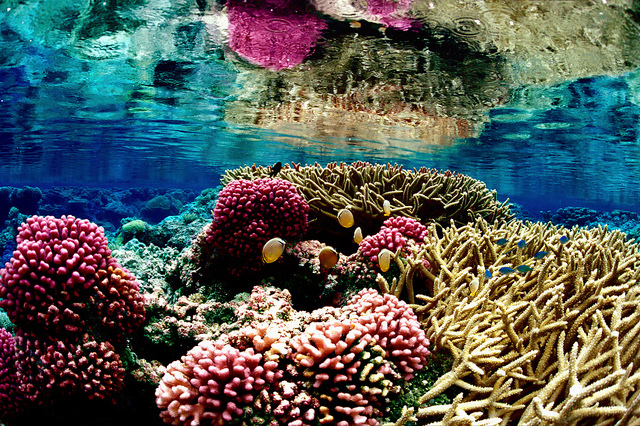 Photo by USFWS Pacific on Flickr; used under a Creative Commons license. 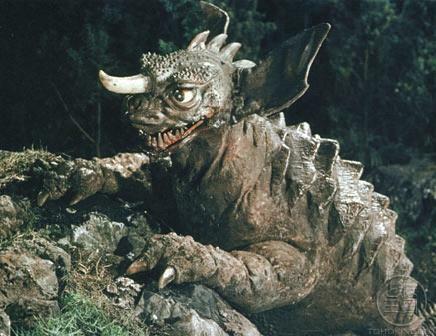 Last night, I went to bed feeling like this. 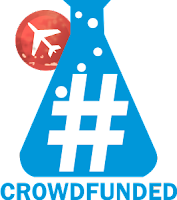 I’m now proud to have two projects crowdfunded, and to have earned the “Aviator” badge from RocketHub! Thanks to all the supporters for your interest and trust. While my first SciFund project was about creating a long-term resource, this one should be fast and fun. For everyone else, it’s not too late! There is no rule that says you can’t support a project that has already met its funding target! Why support a project that has already hit its target? Moar cool science! I have enough money to support one student on this project. With your help, I could give another student a great research experience. Do it for future scientists! Cool rewards don’t go away after someone’s hit their target. You can still get some awesome stuff from scientists for supporting their research.! The target we show is not actually what ends up in the researcher’s hands; RocketHub gets a cut of that money. A few extra donations help us actually get the target amount. Generosity just feels good. Giving is just enlightened self-interest. All the smart kids are doing it. You don’t want to seem less smart than your colleagues, do you? I thought not. 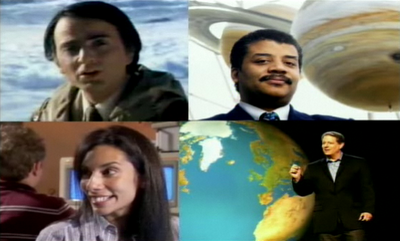 Now, admittedly, these are all presidential science advisors. By definition, you have to have attained a certain stature to be a contender for that gig. And it’s a historical group, in that it reflects appointments that in some cases happened decades ago. Fortunately, this didn’t reflect the actual number of audience members, which Jamie Vernon estimated was more than half women. Even David Pogue, who lit up the room with a killer talk, showed this slide as an example of scientists who are skilled at communication. While better on diversity, I was disappointed that he showed this as an example of the current state of the art in science communication. He includes someone who is dead (Sagan) and someone who isn’t a scientist (Gore). That’s our A-list team? One, maybe two, living scientists as skilled communicators? I will say that Pogue’s talk exemplified one important lesson: he is willing to show himself looking silly and vulnerable. You have to be willing to put away your ego to communicate. 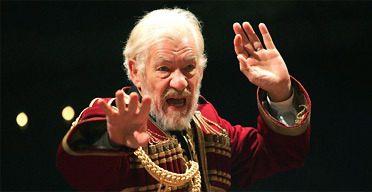 I have to leave the auditorium whenever I want to tweet or be online. Intense politics over the agenda led to control by some academics gently but firmly dismissive of those w/no academic (background). Combine these with complaints about mediocre PowerPoint on the previous day, and watching these colloquia has become an object lesson in why science communication is struggling. There are useful lessons here, but not in the way it was planned. Update: There were no Republicans on the presidential science advisor panel. That’s another interesting indication of how the Sackler meeting was planned. You should go to RocketHub now and fuel my project! 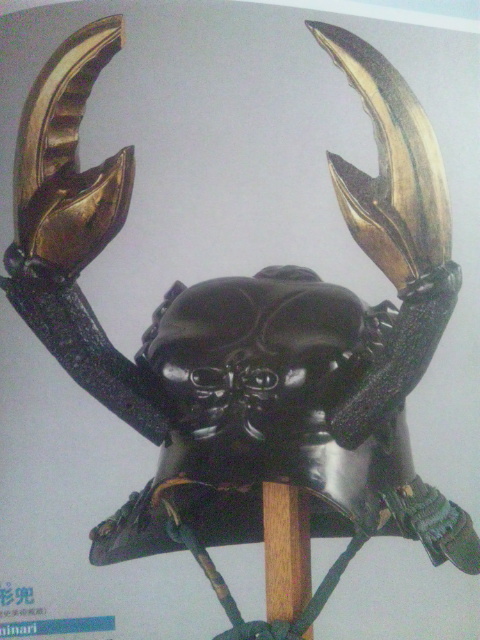 This is a kabuto, a samurai helmet. Not surprising that the island nation of Japan would often incorporate marine images in things like armor. 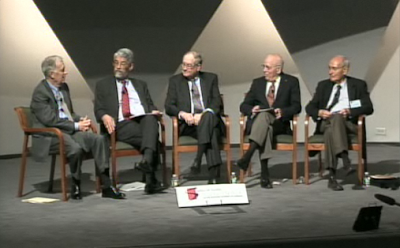 Frustrating to watch #sackler livestream about science communication... and see same ol’ PowerPoint bullet list slides. Sigh. This was not in response to any one talk, but several. I had been sensitized to this problem in part because of articles like this one from Randy Olson and this one from Chris Mooney. It all seemed to be a classic example of Randy Olson’s “nerd loop.” In the quest for better communication, people are so focused on being data driven and not on the actual practice of communication that they’re no better off than when they started. I was not alone. Soon after I tweeted this, there was a whole thread on Twitter about how a colloquium on effective science communication was using the same crummy communication techniques that most of the speakers were arguing against. Science&the public are dealing with problems humanity has not encountered before - One such problem is not v wordy slides..
Nevermind needing engineers in sci comm, we need some good designers to make presentations! Remarkable & disappointing conference on communication has so much back to back overloaded PowerPoint. Physician, heal thyself? Dan deserves kudos for getting up in the question session and pointing out that the presentations were low grade. People have to be told not to do this stuff any more. For small conferences with only invited speakers, conference organizers might take a much stronger editorial hand. Demand that the audio visuals be submitted early. Review them. Put the same kind of effort into them that you would in editing a multi-author book. Overall, the first day of the Sackler colloquium didn’t feel like it was as much about science communication as about science policy communication. 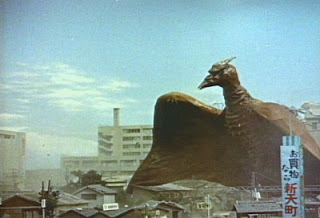 It felt like it was all very big picture stuff (Fukushima! Nanotechnology!) that didn’t connect with what I’m trying to do as a jobbing scientist. Nobody on day one had anything to say about science online, blogging, and so on. Keynote speaker Daniel Kahneman said nothing about online communication, even when asked directly. A Storyify of the first day is here, though it misses the conversation on the presentation format. 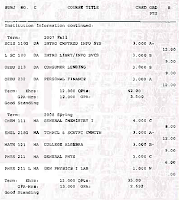 Why are university transcripts invariably design disasters? First, most transcripts look like they’ve been made on daisy wheel printers from the early 1980s, using a Courier-like font. Has nobody shown Registrar’s offices that we have high quality laser printers and ink jet printers now? Second, transcripts are often set in ALL CAPITALS. And there are often strange offset lines and weird spacing. 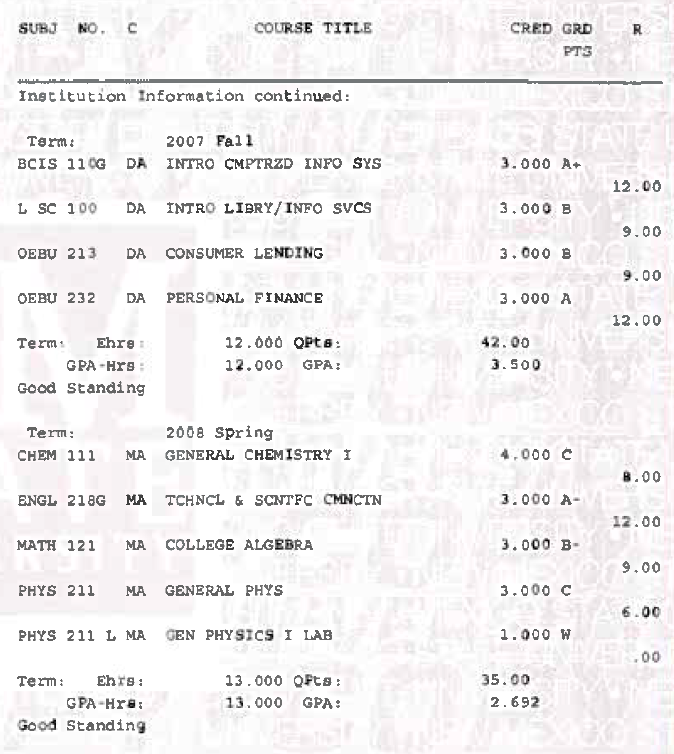 Third, most transcripts give extremely truncated class names. While this might be fine for some common introductory classes, it makes figuring out a lot of advanced classes something like figuring out a cryptic crossword puzzle. Even some subject names are not immediately obvious, and different institutions often use different abbreviations for the same subjects. Fourth, many transcripts (including my own university) are printed in landscape mode. When I’m reviewing an application, I constantly have to turn pages sideways just for those transcripts. It’s annoying. Fifth, many transcripts are printed on coloured paper imprinted with complex backgrounds. Usually, the university’s logo is right smack dab in the middle of the page where all the text that you are trying to read is. It’s like deliberately throwing mud on a highway sign. Sixth, they’re still on paper. Paper. Actual molecules that have to be printed off, stuck in an envelope, and delivered by machines and people across hundreds of miles. Seven, transcripts vary wildly from institution to institution. It’s like each state or province printing its own money. Some of these problems can be fixed by just having someone care redo the design with some attention to detail. Choosing a well-designed monospaced font, or even better, simply going to a proportional font in a good table, using sentence casing and complete words, are not difficult things to do. The bigger set of problems comes because some of these features are attempts to prevent document forgery. But even here, the tools are crude. Instead of garish coloured paper with the university logo right on the stuff you’re trying to read, why not watermarked paper, where you can see the university logo when backlit? Why not a shiny foil logo in a corner? A hologram strip along an edge? And why do we have to go through this tedious process of handling paper? Come on. We have moved past this. If the financial industry were at the same level of technology as transcripts, we would all still be using paper money for every purchase and no bank cards, credit cards, or online banking. There has got to be a way whereby someone with legitimate transcript request could go to a university website and get a verifiable transcript in some sort of PDF format. The student gets some sort of security code that they provide to the person who wants the transcript. The recipient goes to the university website, logs on, makes the request. Some sort of unique barcode or QR code could be generated dynamically and added to the transcript PDF to ensure authenticity. And while we’re at it, let’s make transcripts customizable. Every transcript shows classes in chronological order. But when I’m reviewing transcripts, I often only care about the major, or particular subjects. That should be possible. There’s got to be a great business opportunity here for someone. You should go to RocketHub and fuel my project! Answer is below the fold. Doc Becca gets a mailbag question about how you establish a scientific identity. Culture of Science looks at crowdfunding, something near and dear to my heart this month. 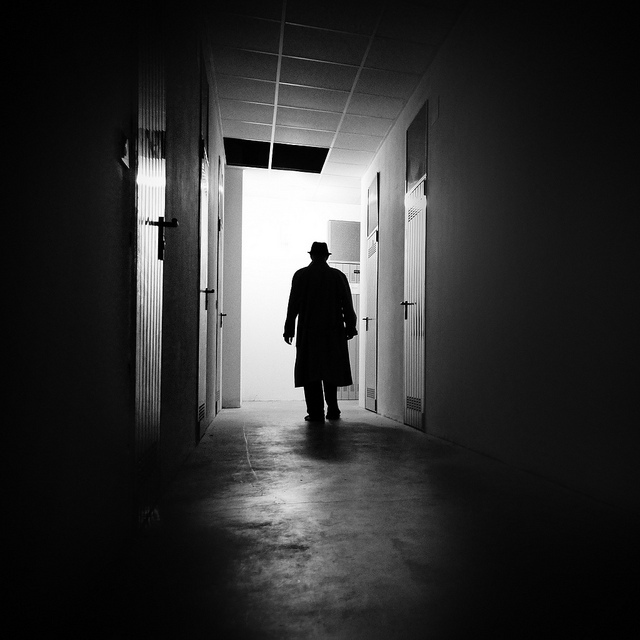 Cath Ennis looks at the perils of open science and the risks of getting scooped. Prof-Like Substance takes issue with reports of federal agencies’ overall funding rates. A post of mine makes a cameo on The Sceptical Chymist. An interesting graph on gay rights Flowing Data. Ed Yong always writes well, but this piece about “How many cancers does something cause?” shines because it uses the expertise he gained from he pre-science journalist days. Mendeley Blog looks at the “communicating science” panel from Experimental Biology 2012. DrugMonkey wants to know how long your cover letters are. I make a cameo on Oikos blog who looks at science role models who aren’t scientists. I make another cameo in Figure 3 of this paper! Shema et al. 2012. Research blogs and the discussion of scholarly information. PLoS ONE 7(5): e35869. DOI: 10.1371/journal.pone.0035869. This makes Scicurious very meta, and I go even more so. How many papers do you need to get tenure? Odyssey at Pondering Blather is on the case. Homarus americanus, a rare calico morph. Everyone hates it when presenters read bullet points. It is one of the most common complaints about what PowerPoint has done to presentations. We can all read faster than any presenter can speak. If there is no more information than once the presenter has written on the slide, it's excruciating to wait for them when we've already know what he is going to say. But there is something that just might be worse than reading bullet points out loud. Reading the title of each slide out loud. Slide titles are often just single isolated words, or short descriptive phrases at best. 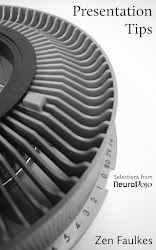 Consequently, reading titles breaks the flow of your speech, and sounds completely unnatural. For all their problems, bullet points usually at least resemble normal sentences. Bullet points read out might be simple and dull, but at least they’re somewhat grammatical. I’m not above creating a meme to support my #SciFund project! One of the surprising things about our local sand crabs is that while they are small, they are feisty little guys. 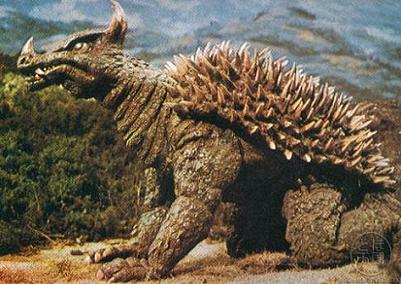 They do have claws,and they always seem to find that one little fold of skin they can dig them into. When I wanted to make a video about the “monstrously” large Florida sand crabs, this picture of an aggro sand crab naturally fit in. But the possibilities for humour were too good to leave alone. 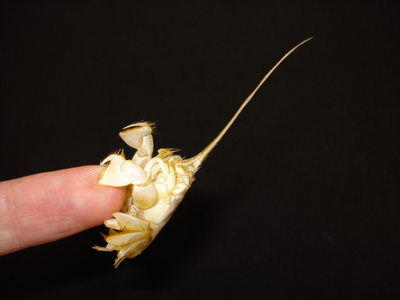 Generate new captions, and see existing ones, for Fighty Crab here! Or try here! 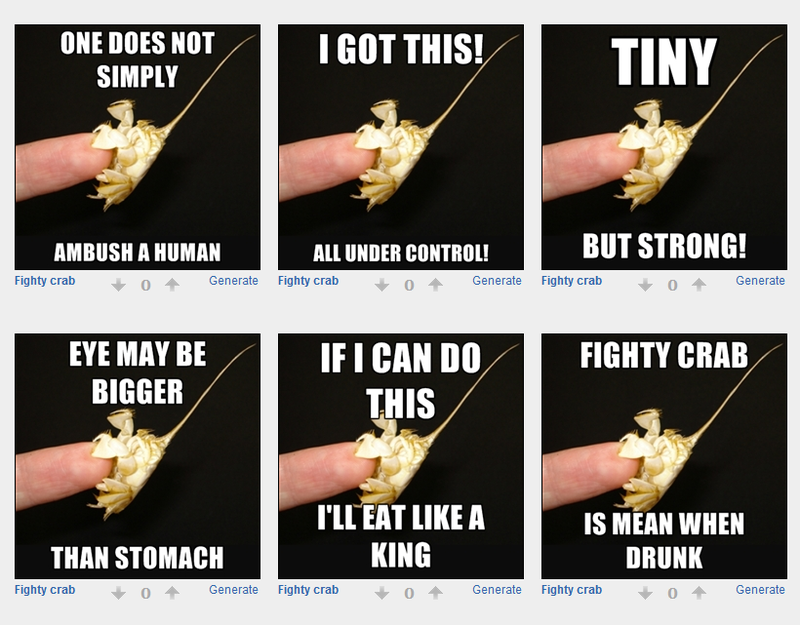 If you like Fighty Crab, you should also go to my #SciFund project! 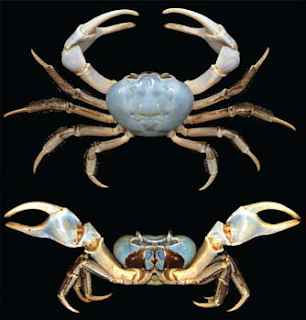 A newly described species, Discoplax celeste, from the tiny Christmas Island in the southern Indian Ocean. The arguments that you are going to hear against crowdfunding are, and will be, the same arguments that you have heard, and continue to hear, against open access publication. [Open access publishing / crowdfunded research] is bad because it is not selective enough. There is not enough peer review*. It opens up the floodgates for crappy research. The “not selective enough” argument was deployed against PLoS ONE, which was arguably a big success in promoting the open access model. PLoS ONE drew a lot of flak, with people saying that because it didn’t screen for importance, it would be a dumping ground. This is still lobbed at it, despite a good impact factor. It is true that in the first round of SciFund, there wasn’t peer review. 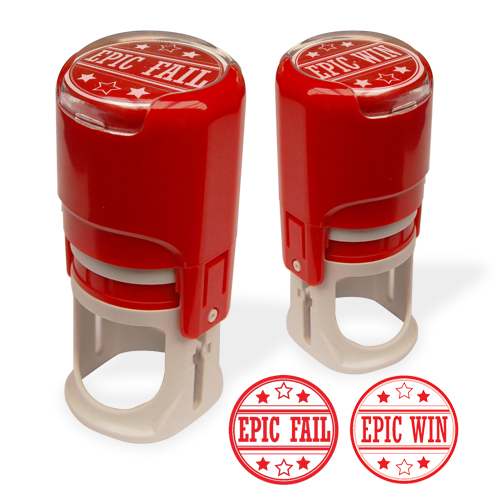 In the current round, we did do a “sanity check” on the proposals. This was good, because there was a proposal that failed it. Spectacularly. That said, there isn’t a counter punch to anyone who brings up the quality argument now. It’s going to take a couple of years before crowdfunded research yields theses, dissertations, and that gold standard, publications in peer-reviewed academic journals. SciFund is not the PLoS ONE (established 2006) of crowdfunding. It’s not even the PLoS Biology (established 2003) of crowdfunding. It’s the Psycoloquy (established 1990) of crowdfunding. It could take ten years or more before someone creates a big model for crowdfunding in the way that PLoS ONE did for open access. Just as there are people who still snipe at PLoS ONE, there will still be people who will snipe at crowdfunding. I hope to have draw some more parallels between open access and crowdfunding in the days to come. 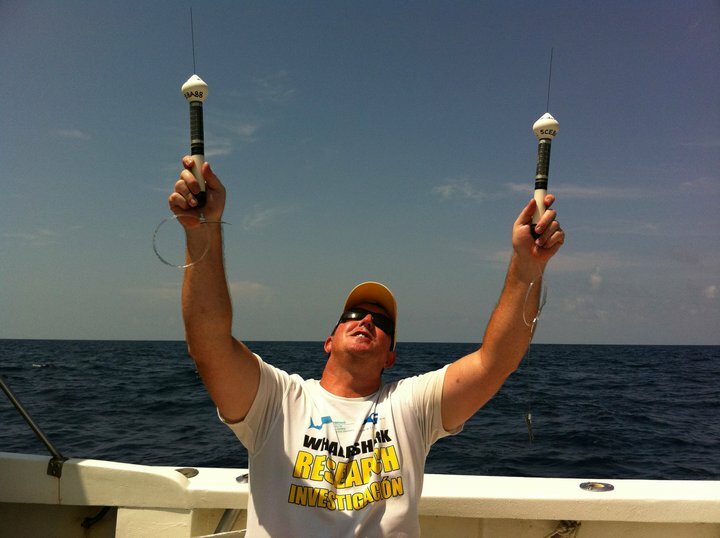 Today, I’m pleased to have this guest post by Dr. Al Dove, one of the regulars of Deep Sea News. This started as an excellent question on Twitter, and I said he should blog about it. It didn’t fit on Deep Sea News, so I offered this space. And I’m so pleased he did! This is a post about shame. Specifically it’s about a special type of shame that I suspect many (most?) scientists feel and few discuss. It’s a shame that I have struggled with for my entire career, including grad school. I dared to share a glimpse of it recently in that most public of forums, Twitter, and learned that perhaps I was not alone. Emboldened by social media connections to folks I know both well and not at all, I am taking the next step of exploring my shame publicly, in the hope that we can learn more about this phenomenon. There exists on my hard drive a folder into which I loathe copying files, but only slightly less than I would loathe deleting them all together. It is a folder called “Aborted Manuscripts” and it is this folder which is the source of my shame. It is a graveyard of stupid ideas and of great ones poorly executed, of unfinished cogitations, of journal rejections, of unresponsive colleagues and of frustrating students. It’s a roadmap documenting 15 years of science (read: “me”) not doing what science (read: “me”) is supposed to do – get published. I currently have nine folders in my “Aborted Manuscripts” folder, each representing a scientific paper that wandered off, somewhere on the path between brain and CV. They range from a two page stream of consciousness spewed into MS Word after a 20 hr drive from Mobile to NY to escape Hurricane Dennis, to a manuscript that I dearly love but which has been rejected several times for reasons that are still not clear to me even now, seven years later. As I look through them, I am always overcome with a curious mix of emotions: I am impressed with how much work I and others have done, yet disgusted that I/we couldn’t honour that work by getting it across the finishing line. There are tasty kernels of hope - “Maybe there’s life in the old gal yet…” – and bitter pills of realism – “I don’t even know where the specimens are anymore…”, pangs of embarrassment for promises I didn’t fulfill for respected colleagues, and stabs of anger/frustration at promises to me not fulfilled by others, and always a seething undercurrent of shame about not having closed. The. Deal. Jumping the gun. Sometimes it just wasn't ready to publish; my enthusiasm outstripped either my ability, or the data, or both. More studies were needed and if they were done, which they often weren't, the previous work was contradicted or became irrelevant somehow. These are the ones where I shake my head and smile at my own naïveté. What was I thinking? My fault. It was a good idea and good work, but some part of the work or the publishing thereof, was mishandled and I have to accept the blame. Usually, but not always, it was an issue of time management; I either couldn't make the time to finish it, or for whatever reason it dragged on so long that it was no longer interesting or I lost motivation. I include in this category the last of my dissertation papers, which was perfectly good but got lost in the haze of moving on to employed life on another continent. I have a couple of others where my failings more directly affect other folks, and these are the true source of 90% of my shame. Someone else’s fault. I do have a couple where I can squarely blame someone else for not finishing some critical aspect of the work. I bet you they’ve all forgotten about it by now, but I haven’t. Maybe I should. Rejection. I only have one that is a journal rejection. This one causes me more confusion than anything, because I still don’t really understand why it was rejected. Four times. (Well, two were Science and Nature, so I guess it’s been rejected by “real” journals twice). Sigh. I don’t have answers for these questions, nor have I resolved which option to pursue. Perhaps you can help me decide in the comments section below. More importantly though, I’d really like to hear about whether others have “Aborted Manuscripts” folders of their own and, if so, how do you feel about them and what have you done with them? I think this is perhaps an important part of scientific life that we're not talking about, or at least not talking about enough. Postscript from Zen: I had a few papers that waited about five to six years to be published. So manuscript resurrection can happen! That’s the first and most important point. I currently have one manuscript that hasn’t yet found a home. I have a couple of projects that never quite made it to the manuscript stage, at least not yet. I wrote a bit about how to decide when it’s time to publish a project over at Scientopia’s Guest Blog earlier this week. There is some information in the research literature about this. This paper by Casey and Blackburn looks mainly at reasons for rejection, but deals with “orphaned” manuscripts a little as well. Posts about this are on Oikos Blog and Culture of Science. Jamie Vernon started an interesting exchange earlier today on Twitter on this subject. Over the month, I plan to try to develop a sort of science crowdfunding manifesto to address some of the issues others are concerned about. It occurred to me that the Oikos Blog post was responding to what I said in just that one single blog post. But I realized that I’ve been slowly developing arguments for crowdfunding for years. Eventually, I want to write a longer and more cohesive argument, but for now, here is a short summary of some main points that I’ve been writing about over the last five (!) years, with links to my older posts. We have to face the very real possibility that rates of federal funding are never going to go back up; at least, not by the amount scientists think would be sustainable. Even if industry still had skin in the game (not as much as they used to), there are legitimate concerns with industry funding of science. The track record of dealing with conflicts of interest arising from industry money are... not good. All of this sets the stage for why crowdfunding is going to be part of the future of science. I’m looking forward to exploring this more in weeks to come. Keeping up with Canopy Meg! The rumours about Margaret Lowman are true. She’s quick, funny, genuine, and inquisitive. In short, she’s awesome. How she met Tommy Hilfinger. Taking kids out into the field. 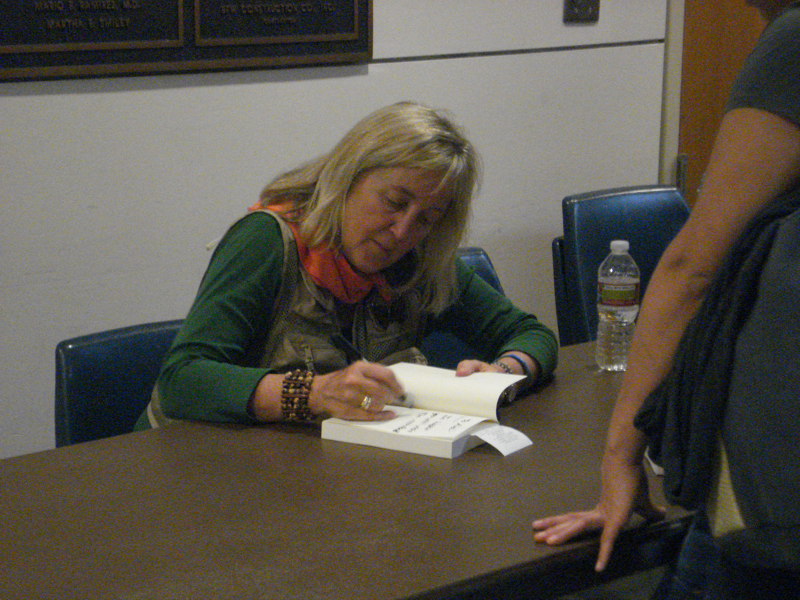 How she wrote a book that her colleagues told her not to write (that ended up being on the cover of the New York Times Review of Books). Her work with Coptic churches in Ethiopia to restore forests. Her interest in crowdfunding and social media and technology. Her new job as director of the Nature Research Center in North Carolina. Whew! Just listening to her was exhausting and exhilarating at the same time. An amazing set of stories! If you get a chance to see her, do not miss it. Today, I am being a lazy blogger. If you want to know more about this cave-dwelling crab (Samarplax principe), head over to Imprints of Phillipine Science for the scoop! 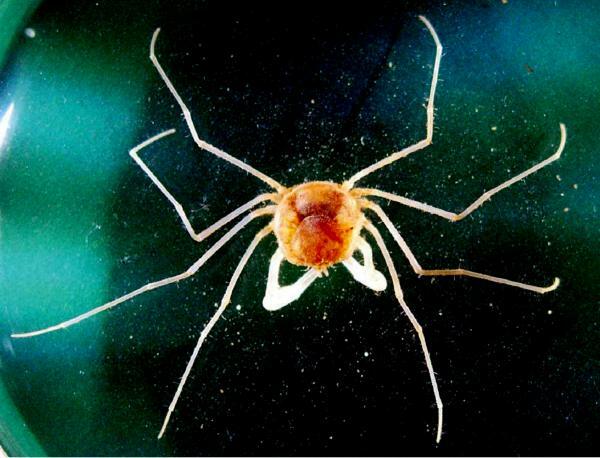 It’s a newly described species that lives in caves with a mix of salt and fresh water, and it has only vestigial eyes. 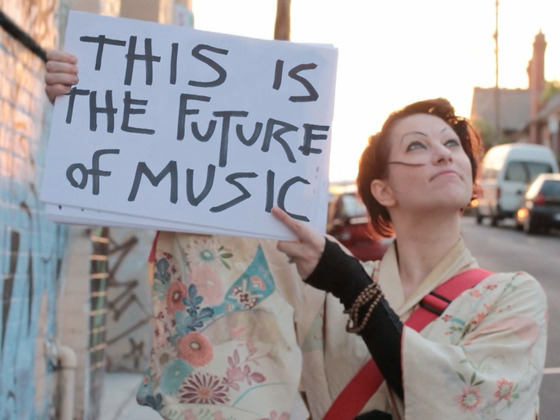 Yesterday, musician Amanda Palmer started a Kickstarter campaign to fund her next record, book, and tour. She reached her goal in less than a day. Those are reasons why I’m more pleased than ever that SciFund is back. It’s hosted once again by the fine folks at RocketHub, and there are a whole mess of projects for you to support! My own project is Beach of the Goliath Crabs, which you can read about here. For Google Plus users, I’ll have a hangout about this project on Wednesday, 2 May at 3:00 pm Central time (4:00 pm Eastern, 1:00 pm Pacific). You can find my G+ profile here. Additional: A response on the Oikos blog. I have not just a comment, but a full on guest post about collaboration using cloud tools at Soapbox Science, the guest blog of Nature’s blogging network. Prof-like Substance does everyone who is writing pre-proposals for the National Science Foundation a big favour by laying out what went down in pre-proposal reviews. Tell it like it is. Jack Williams also steps up with his views on the process at The Contemplative Mammoth. I make a cameo appearance in a Double X Science interview with Darlene Cavalier of the the Science Cheerleaders and SciStarter. The FCIWYPSC blog looks at the question of how “soft money” positions affects science. Jerry Coyne bemoans journal costs. 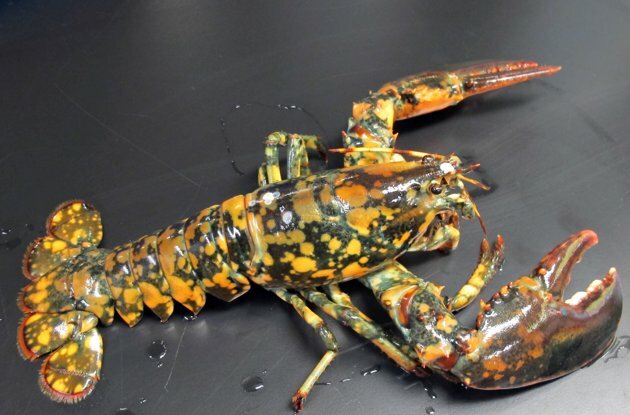 What’s your favourite marine critter? It’s exam week! Prof-Like Substance looks at how grades should be distributed. Biochem Belle examines a hot button statement from the Experimental Biology 2012 meeting, in which a Nobel prize winner says scientists shouldn’t blog, because self-promotion is the antithesis of science. You could imagine the response, but you don’t have to, because Belle tells us all about it. 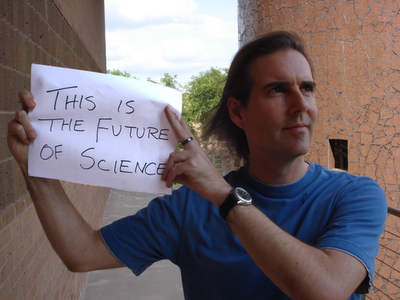 Bradley Voytek wants to know how you keep up with new science. Athene Donald looks at academic multitasking. How many things are you expected to do, and do well?